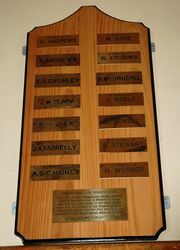 A plaque contains some of the original name plates that were attached to the trees in the Avenue of Honour in the main street. 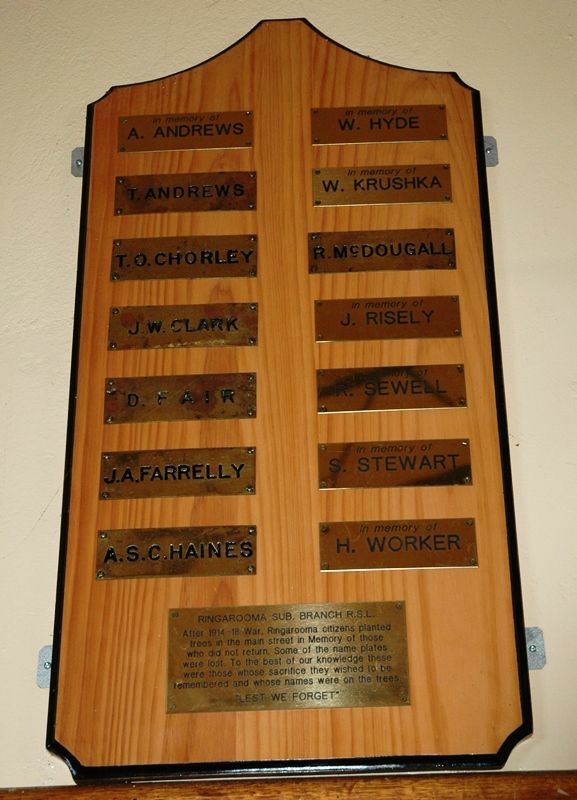 After 1914-18 war, Ringarooma citizens planted trees in the main street in memory of those who did not return. Some of the name plates were lost. To the best of our knowledge these were those whose sacrifice they wished to be remembered and whose names were on the trees.